Welcome to our brand new home. We hope you will take your shoes off and stay. I guess if you’re staying I should at least introduce myself. My name is Gabriel Jones. I live in the hills of West Virginia. (Yes, I know all the words to Country Roads by John Denver.) I play music at times for fun and at times for semi-serious occasions. But most of my experience with music has been listening. In fact, we probably all have that in common. Music is a powerful medium. It can make us dance. It can make us cry. It can bring us to our knees. It can make us smile. It can get us through one more day. About a year ago, I started the @dctalkact2 Twitter account just for fun. I grew up listening to them and just thought it would be fun to do something for the fans. I wanted to have an account that not only had fun with nostalgia but also kept up on what Toby, Mike, and Kevin were doing now. I expected a few hundred followers at the most. A year later we already have over 6,000 followers. Crazy! So I wanted to try something. I wanted another place where us fans could come and talk. 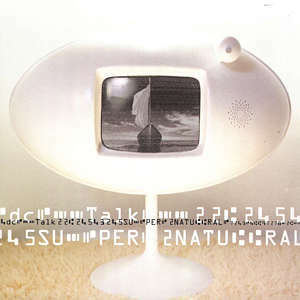 And so we launch this fantastic blog today on the 16th anniversary of the release of dc Talk’s final full length record “Supernatural”. Yes, I will write about dc Talk along with what Toby, Michael, and Kevin are doing now. I’ll also write about other great music from the dc Talk era and also great music from the present time. Music means a lot to me. Take dc Talk for example. As a kid growing up, their songs became very real to me. They weren’t the watered down worship music you hear on the radio today. They wrote a lot about the bumps and bruises in life. dc Talk wrote “What If I Stumble”, a tune about messing up. The Newsboys wrote “Reality”, a modern day Prodigal Son story. Audio Adrenaline wrote “Chevette”, a song about growing up in a middle-class family. That’s the type of music I grew up and needed. And that’s the type of music I want to write about. And no, this blog won’t just be about “Christian” music (or even music in general). It will be about living life and social justice. It will be about topics that are hard to talk about. There will be other friends that will help me write from time to time especially on topics they know more about. If there is anything you want us to write about, let us know! We want to make this as interactive as possible! Thank you all for the support and we hope this is a fun ride together! This entry was posted in Christianity, Music and tagged audio adrenaline, dc talk, music, newsboys. Bookmark the permalink. Amen. Deeper, more visceral, tangible lyrics met my heart at just the right time. I still know all the words to the Supertones, Audio A, Plankeye, Poor Old Lu, EARLY Third Day, (Conspiracy #5 is my fav of their albums!) and a few years earlier? WhiteCross. (hangs head in hair-band shame.). Glad for this blog and for you bringing us fans together. 🙂 Live Long & Prosper, sir!